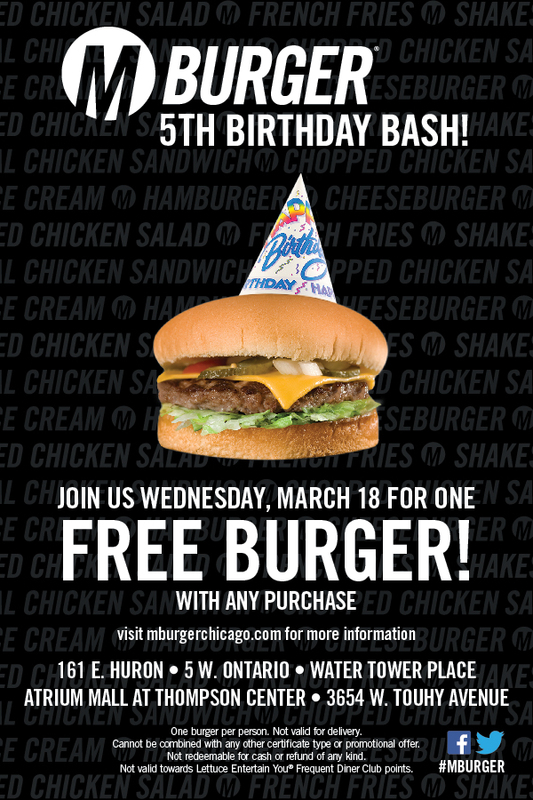 M Burger is celebrating their fifth birthday on Wednesday, March 18th, and will be offering one free burger with any purchase at all their locations. Choose from any of their hamburgers, cheeseburgers, signature M Burgers, or any burger on the Secret Menu. One per person, in-store only. Not valid with any other offer. M Burger is giving away free burgers on March 20!